In these lushly arranged Armenian folk melodies, the trio explores the harmonic and rhythmic wealth of the Armenian folk canon. The album is an ode to the spring equinox celebrated in pagan Armenia, a night on which the universe loosened, nature revealed its healing powers, and fortunes could be told. In this compilation of old melodies rendered new, village girls meet modern women, melodies move forward and back in time, and light and dark find equal footing. 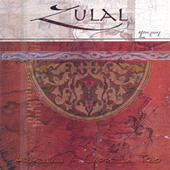 The album includes such favorites of Armenian folk as the Tamzara, Shogher Jan, and Mogats Harsner. “Notes to a Crane features songs that look back to a simpler time; village markets and lonely shepherds and birds migrating. There’s a bittersweet mood throughout much of the record but the arrangements are lovely and in their own subtle way, quite clever." -John Schaefer, Soundcheck, WNYC. 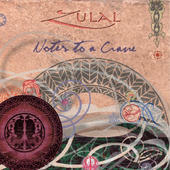 Produced by Zulal. Produced by J. Armen (Armen J. Meschian). 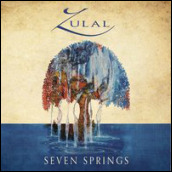 Recorded at Crystal Digital Studios; Fairlawn, NJ by David Schwartz, and Soundwell Studios; Fairfield,NJ by Nick Saya. Mixing for tracks 2,3,9,11 by David Schwartz, Crystal Digital Studios; Fairlawn, NJ. Mixing for tracks 1, 4-8, 10, 12 by Andrew Gerard and J. Armen at Play-It Productions; New York, NY. Mastered by Paul Gold at Play-It Productions; New York, NY. Art Direction, Illustration, Photography, and Videography by Kevork Mourad. Release date: 2004.